CTC Metallokonstruktsiya JSC produces corrugated metal structures (MGK). Increased use in construction of corrugated sheet metal which is lighter and stronger than usual sheet metal provides promising potential for MGK. - construction of industrial and transport facilities. 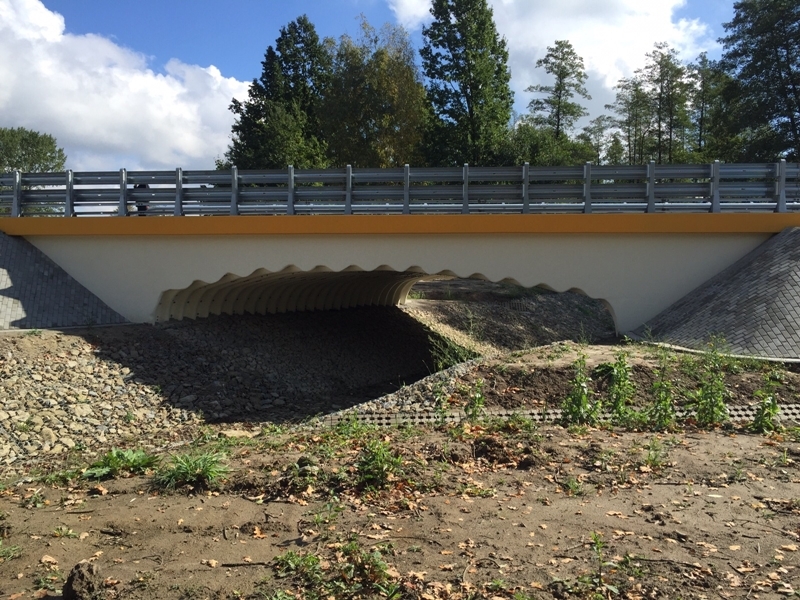 MGK gained widespread recognition in Russia for erection of small engineering structures in transportation infrastructure. Pipes or arches are assembled from radiussed steel sheets which are then covered with earth. Metal envelope in form of corrugated sheet works in unison with the earth which partly accepts the load (compression pressures). Corrugated steel structures (MGK) at CTC Metallokonstruktsiya works are manufactured in 3 production lines equipped with imported equipment. 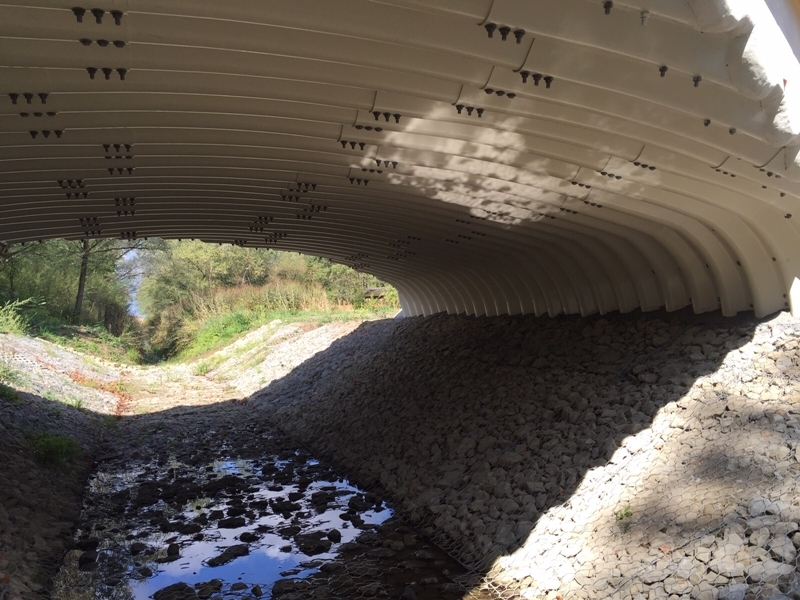 Versatility of corrugated structures allows their use not only in the construction of culverts under motor roads and railway lines but also in the construction of overhead crossings, bridleways, pedestrian and transport tunnels and avalanche galleries. In urban and industrial sites MGK are used in the construction of drainage systems, storm water drains, utility galleries, site landscaping, flood protection structures, water flow regulation, coast establishing and coast protecting structures. Simple technology of MGK assembly is especially important at reconstruction and repair of bridges. 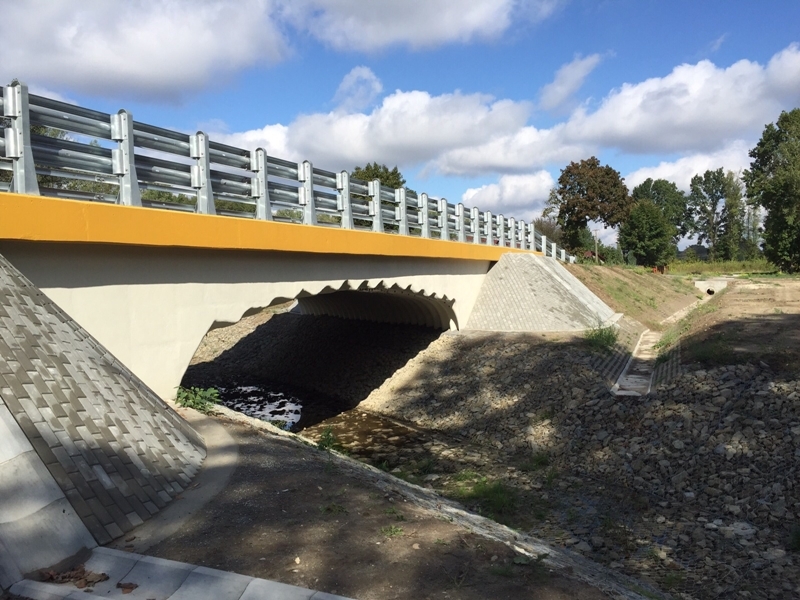 As a rule, spans of existing minor bridges are 12-18 m long and may be replaced or reconstructed using corrugated metal structures such as standard corrugated tube or arch, or other modification of corrugated metal structure. Corrugated metal structures may be instrumental in the construction of spans of significant length (up to 25 meters). Economic efficiency of MGK is supported by their high degree of reliability. Assembly of corrugated metal structures takes little time. As MGK assembly is made on site, it makes their transport easier and practically eliminates the problem of storage. Assembly and erection of corrugated metal structures does not require heavy construction equipment; practically all assembly work is done in manual mode. In comparison with reinforced concrete structures, MGK assembly takes 3-5 times less labour hours. Costs are reduced up to 25%. 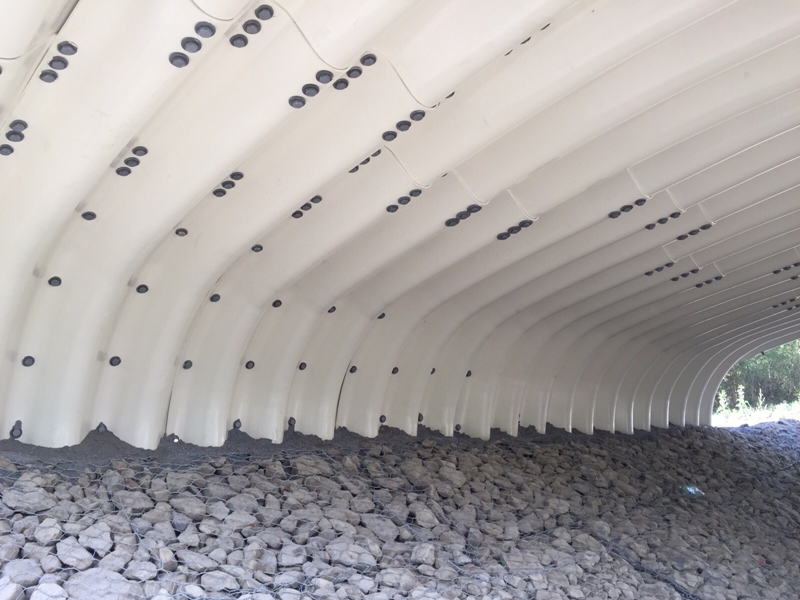 Construction experience have demonstrated that replacing reinforced concrete structures by corrugated metal structures saves 15 to 20% of project costs. Corrugated metal structures may be used in the most severe or the hottest climatic environment as there is no notion of physical wear for MGK. At minimum thickness of MGK metal, its flexibility and firmness are increased by the soil it is covered with. All the above allows minimizing maintenance cost of objects where MGKs are installed. Service life of corrugated metal structures may reach 100 years. If necessary, they may be disassembled and re-used. CTC Metallokonstruktsya produces MGKs with different parameters: dimensions of offered corrugated sheet structures are 130х32.5mm, 150х50 mm and 381х142mm; diameter 0.8 to25.0 meters; metal thickness 2.2 to 8 mm. Corrugated metal structures are used in compliance with type designs 3.501.3-183-01, 3.501.3-185-03 and ВСН 176-78, and with individual designs. MGK parameters meet CTC Metallokonstruktsya specifications TU 5264-002-05765820-2014. Corrosion resistant coating is applied in own hot galvanizing bath. Thickness of corrosion resistant coating is at least 80 μm. High quality of products is obtained due to up-to-date equipment, competent personnel and stringent quality control. Broad network of Complex Technical Center Metallokonstruktsiya branches and warehouses located in Ulyanovsk, Moscow, Rostov-on-Don, Yekaterinburg, Novosibirsk, Irkutsk and Khabarovsk allows us to promptly satisfy requirements of company's partners.